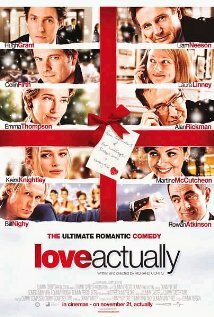 Posted on 10/07/2011, in the whole rom com list, top rom coms and tagged Alan Rickman, Bill Nighy, Colin Firth, Emma Thompson, Heike Makatsch, Hugh Grant, Keira Knightley, Laura Linney, Liam Neeson, Rowan Atkinson. Bookmark the permalink. Comments Off on Love Actually.